William Holmes, a senior consultant and past principal at R+C, has been elected to the National Academy of Engineering. This election is among the highest distinctions an engineer can attain. For 2017, the Academy elected 84 new members who have made outstanding contributions to their fields in practice, research and education. With 2,281 members, the NAE operates engineering programs to meet national needs and encourages research and education. Bill has made significant contributions to the field of structural engineering. He has served as a two-time director of the Structural Engineers Association of California, president of the Applied Technology Council, and a director of the Earthquake Engineering Research Institute. He has participated in efforts that have shaped a number of national and state codes, and he has designed buildings throughout the U.S. and worked with international governments on seismic upgrade programs. Bill has been awarded the Alfred E. Alquist Medal for Achievement in Earthquake Safety (Public Service) by the California Earthquake Safety Foundation, the H.J. 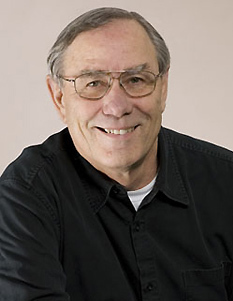 Brunnier Award for lifetime achievement in structural engineering by the Structural Engineers Association of Northern California, the Exceptional Service Award by the Building Seismic Safety Council (BSSC), and Honorary Membership in SEAOC and EERI.